We have baptized 10 new believers since our last update! Eight teens and two young men. Sihle, Sekela, Olwethu, Ukuhle, Mandiluve, Asanda, Sanelisiwe, Mayza, Odwa, and Wandisile. Please pray for faithfulness and spiritual growth. Normally, we use prayer letters to mention all the highlights and victories. This letter will be a little different. I will be more transparent and mention some of our struggles and failures as well. Last month we tried a new ministry which did not fare so well, English Classes. These worked great in Peru, but do not seem to be near so desirous here. We passed out more flyers and invitations for these classes than we have anything else, with less participation. One new person showed up to class. My wife was trying to be encouraging the first night and said, “We’ll see next week!” At the next class, our one visitor must have decided she had enough in her first class, haha! 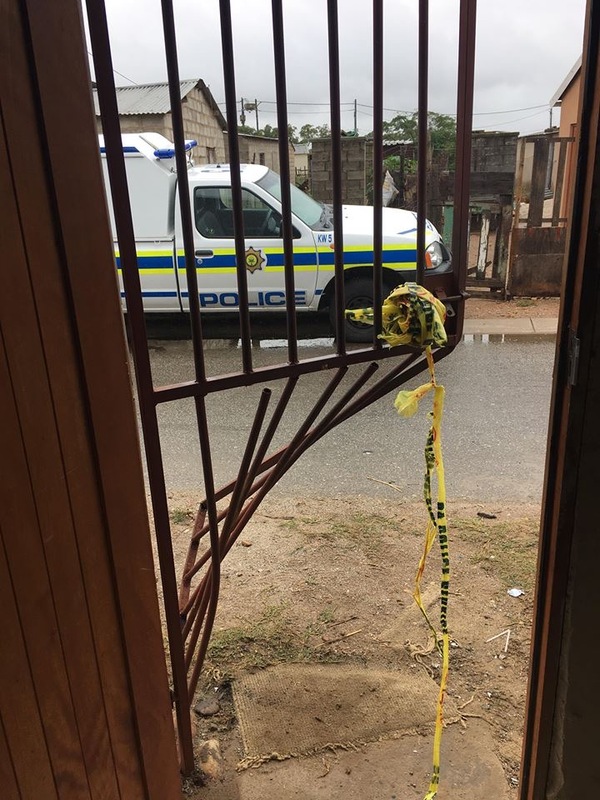 Break-in: Please pray for the men who live in the flat connected to Soweto Baptist Church, Matthew and Thami. They, along with two other young men from the church who were staying the night, were robbed. 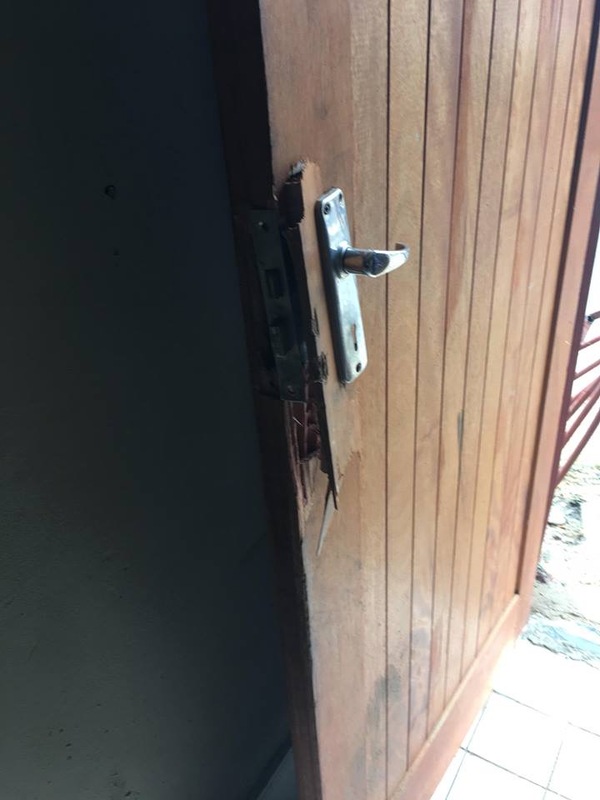 Last Thursday night at approximately 11:30 pm four men broke through the security gate, kicked in the door to the church, and held the guys at gun point. They stole all their valuable things; cells phones, a tablet, a computer, and tv. Praise the Lord, no one was harmed physically. The funny thing about the whole situation is the fools took all their time and effort to get out a car jack to pry open the gate when there was no lock on the gate. All they had to do was open it. 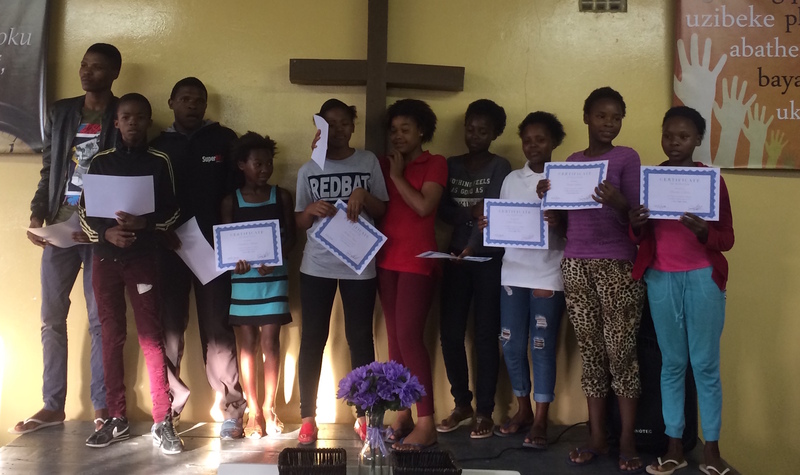 We are currently going through four different studies at Soweto; Thursday nights is “Getting to Know Major Bible Characters.” On Sunday morning we are looking at “Overcoming Addiction.” I prayerfully decided on this topic because we had one teen from the church overdose on meth last month and spend several weeks in the hospital. Unfortunately, he was not the only one using, several other older teens have fallen away as well. The temptation is literally on every other street corner. Though some are gone for now, our prayer is that God will use whatever is necessary to draw them back to repentance. 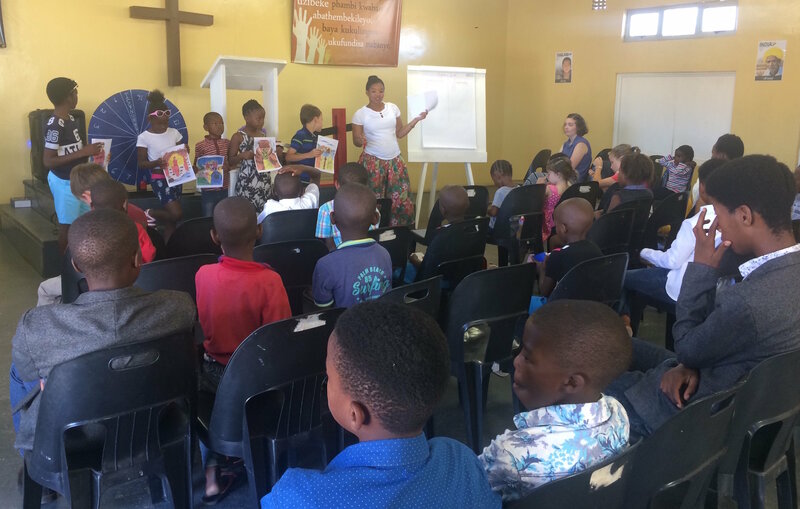 On a more positive note, we also started Sunday School last month with two different classes; a children’s church (pictured below) and one adult class. With the adults, I have been teaching on “The Church” in preparation for our formal organization of the church (no set date for that at the present, but sometime within the next few months). My wife, along with several other ladies, are doing a great job teaching through the OT in children’s church. These classes have opened up opportunities for some of our men to begin teaching too. We also continue with an informal Sunday evening Bible Study. The men and the women are separated, and Bekah and I teach on basic foundations of the Christian life. Next week we will have a special combined service with New Life Baptist Church of KwaDwesi on Friday and Saturday, celebrating Easter. We will be back in Soweto for our Sunday Easter Service. My cousin, Mark Coffey, has signed a contract on 21 acres of land for Camp Rhino. We are waiting on the perk test to come back to finalize the purchase and continue on with the plans. Click here to see a video of the property. Next month we will host the African Regional Conference here in Port Elizabeth. 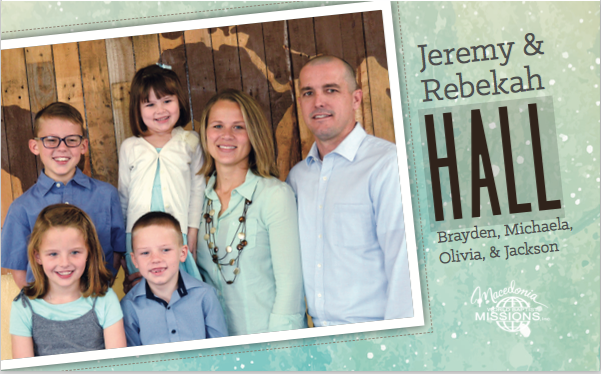 There will be 8 missionary families attending. Several are visitors from other countries in Africa and the US, including my mentor, Austin Gardner, and good friend Jeffrey Bush. Thank you for your continued prayer and faithful support.